Plant a fragrant fence. Instead of spraying chemicals, consider surrounding flower or vegetable gardens with a thick buffer of plants with strong aromas, such as lavender, marigold, mint, oregano, or catnip. Deer are reluctant to walk through them because the scents cling to their legs and interfere with their ability to find food and detect predators. Sprinkle some soap. Scattered soap shavings can also deter deer, both because of the tallow and the scent. The shavings, which also keep away aphids, can last a month unless it rains often. Avoid bars made with coconut oil, though, because those can actually attract deer. 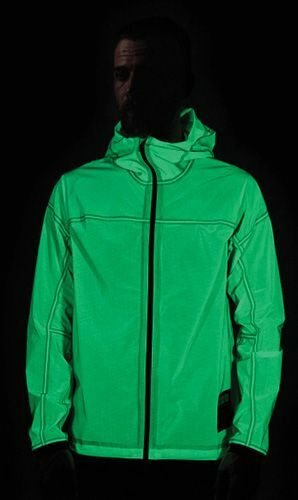 Both a lightweight jacket and a high-tech toy, the Vollebak Solar-charged Jacket is made from a reactive material that absorbs light by day and “glows like kryptonite” in the dark. With just a couple of hours in direct sunlight, the phosphorescent compound within its translucent mesh will emit light for up to 12 hours. That makes the breathable, rainproof windbreaker particularly useful for runners and cyclists. But because the fabric reacts the moment light strikes it, the most fun you can have with the jacket at night is to doodle on it with a flashlight or even a smartphone.